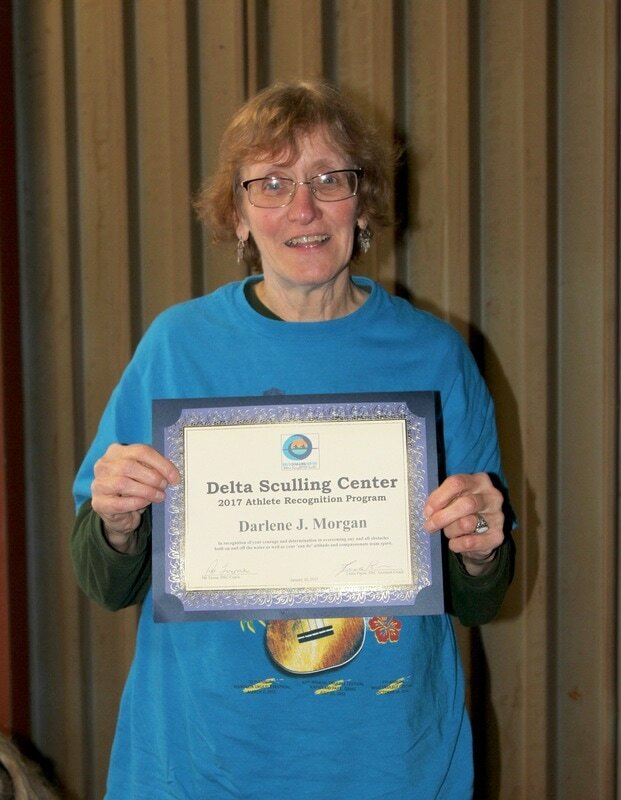 What a weekend for Delta Sculling Center! 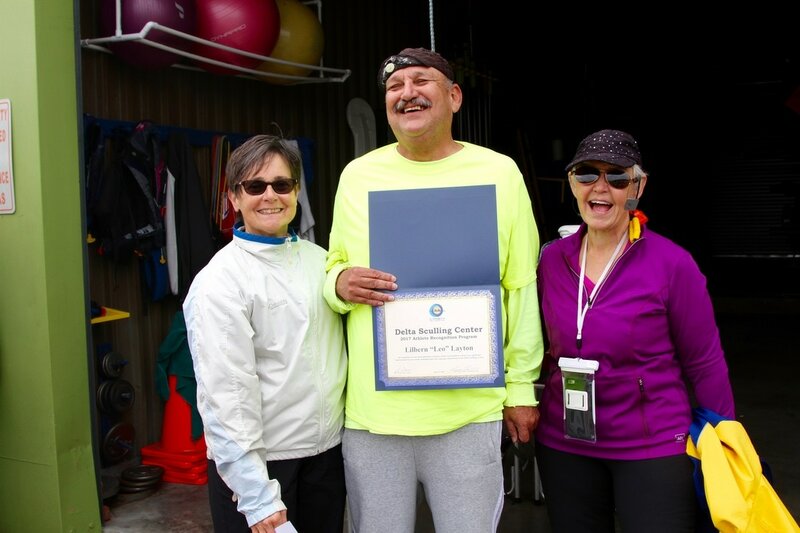 January 28th was the Golden State Indoor Rowing Championships in Folsom, CA. 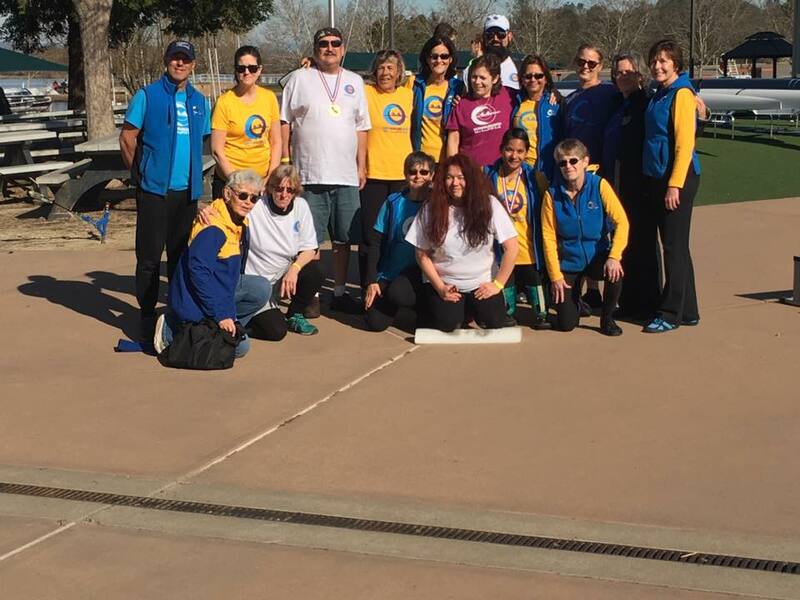 DSC fielded one of the largest teams in attendance at 16 participants! Huge congratulations to everyone who raced and to Rachel, Leo and Linda on their hard-earned medals. Afterwards saw the continuation of a favored tradition - lunch at Brookfield's. The following day, Leo, Rachel, Katie and Pat piled into two SUVs and headed east to the Peninsula Indoor Rowing Championships at Canada College. Rachel and Leo once again medaled in their events and Katie finished strong (medaling against her nonexistent competitors in her heat :D). Why two SUVs for four people? 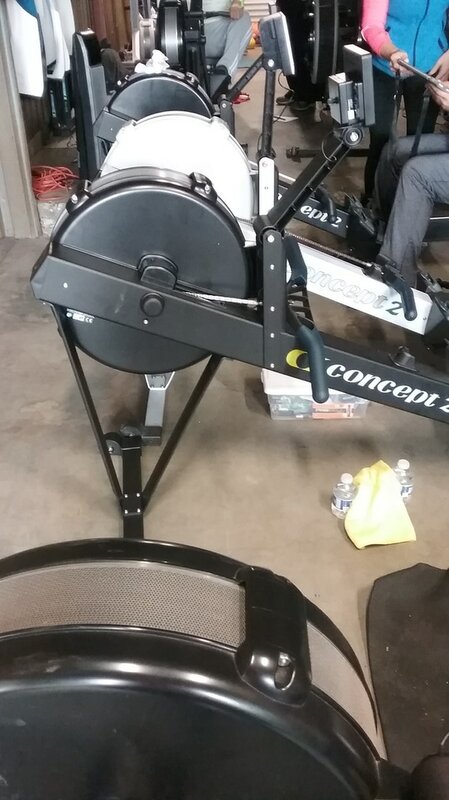 Pat brought home two new ergs to join the growing DSC erg population. 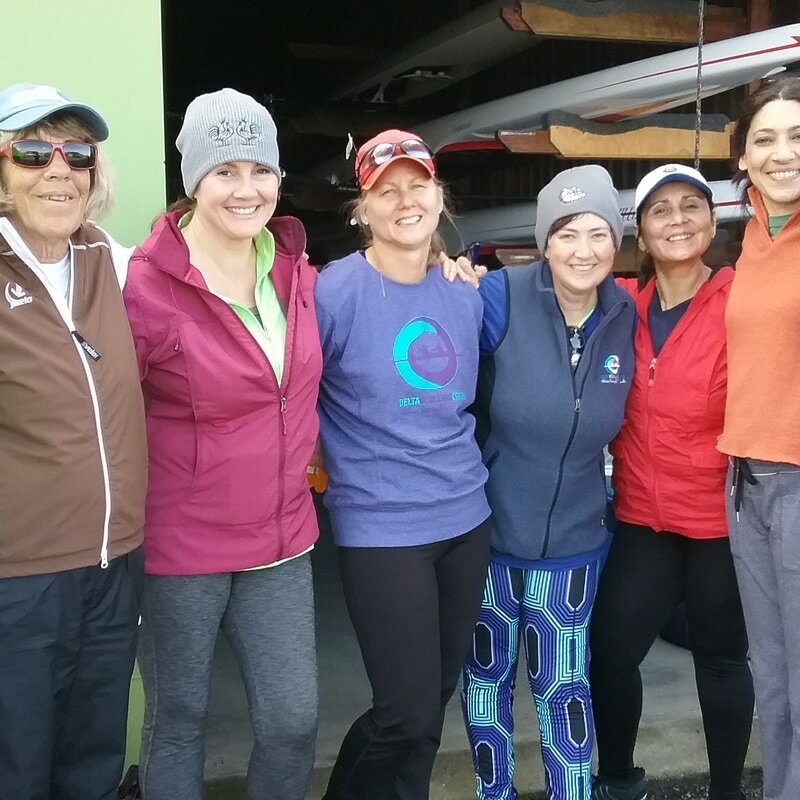 Saturday 4 February was the first day on the water for the new class of scullers! It was a gorgeous day and everyone went home exhilarated - and tired. 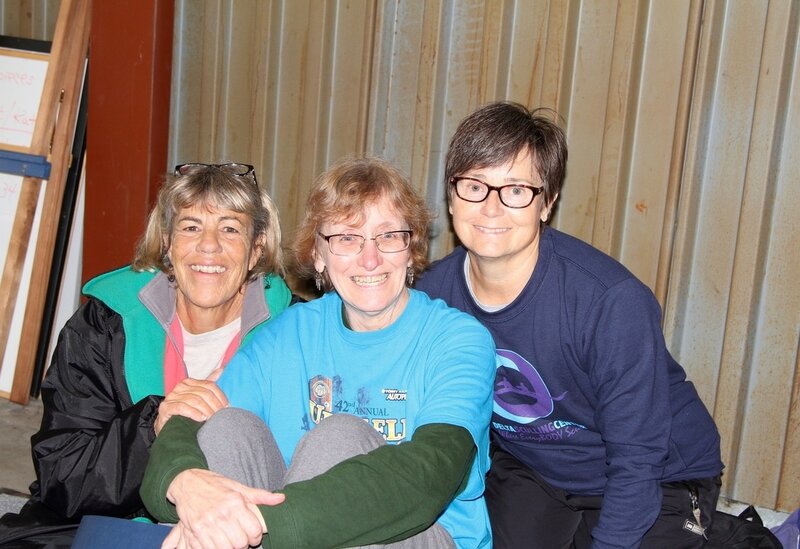 Special shout-out to the volunteers for making the day awesome! 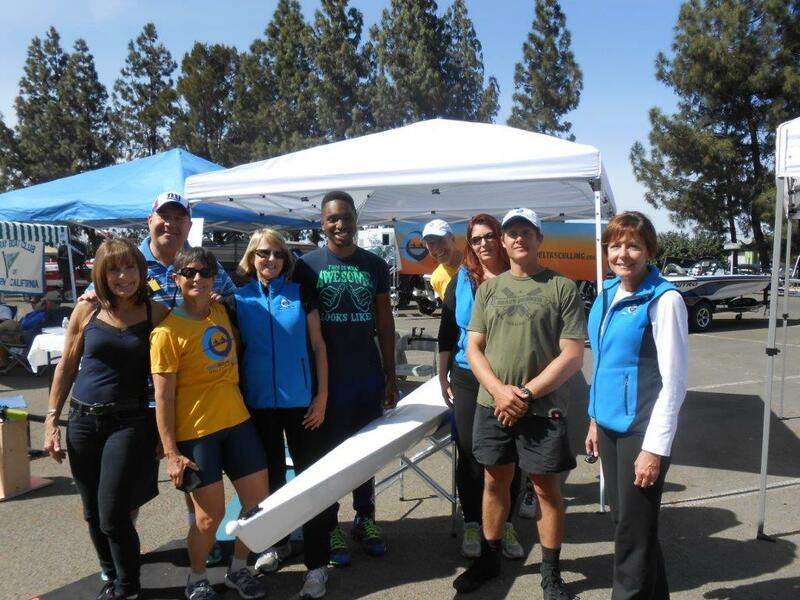 DSC was well represented at this year’s Gold Rush Masters Regatta at Lake Natoma. All four events generated much excitement. Bob Oprandy waited his turn at the starting line till the other five older racers were off, and with a strong push in the second half he passed three of his competitors. In his first non-novice race, Bob Lee bested Bob O’s time by quite a bit in a later race, finishing behind three of the fastest Masters scullers in his age category in the U.S.! In a Women’s Novice 1x race, only 5.6 seconds separated all four entrants and Linda Payne, in her first race ever, finished less than 2 seconds behind the winner and just ahead of Shari Lowen, former DSC Board member who finished in third place. Rebecca Abreu would have been right in the mix if an equipment failure hadn’t forced her out of the race, but she later sculled alongside Rachel Tappero in the TA (Trunk and Arms) race. Mario Gonzales raced in a 2x with Renaldo Abreu in bow in the LTA category, finishing in 5:35. 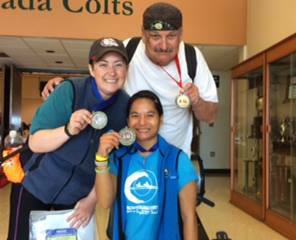 Rachel and Mario continue to be para rowing pioneers in Central California regattas. A host of DSC volunteers helped make the day a great success. DSC Rows to the . . . what. . . HOGS? Why? THERE WAS SUNSHINE INSIDE DURING THE WETTEST WEEKEND OF THE YEAR! 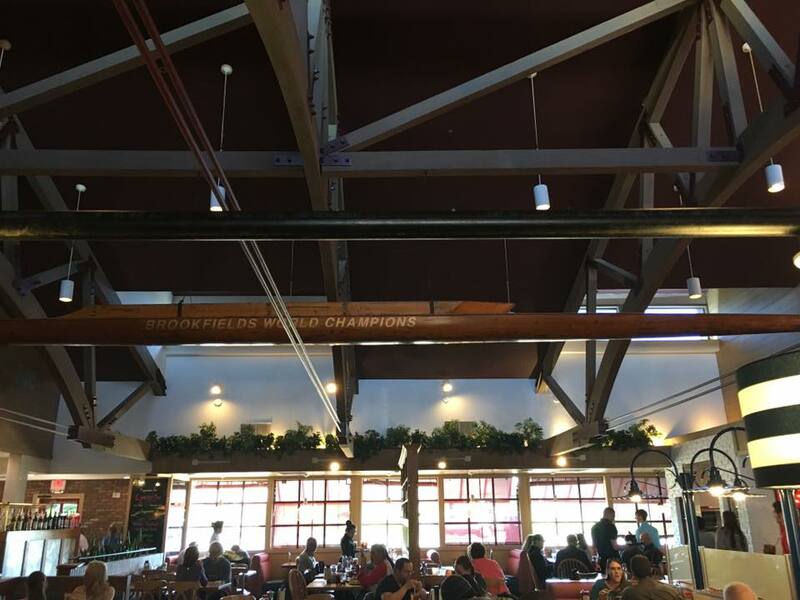 All four Delta Sculling Center scullers that competed in last weekend’s indoor championships DAZZLED us with personal records (PRs) in their events. 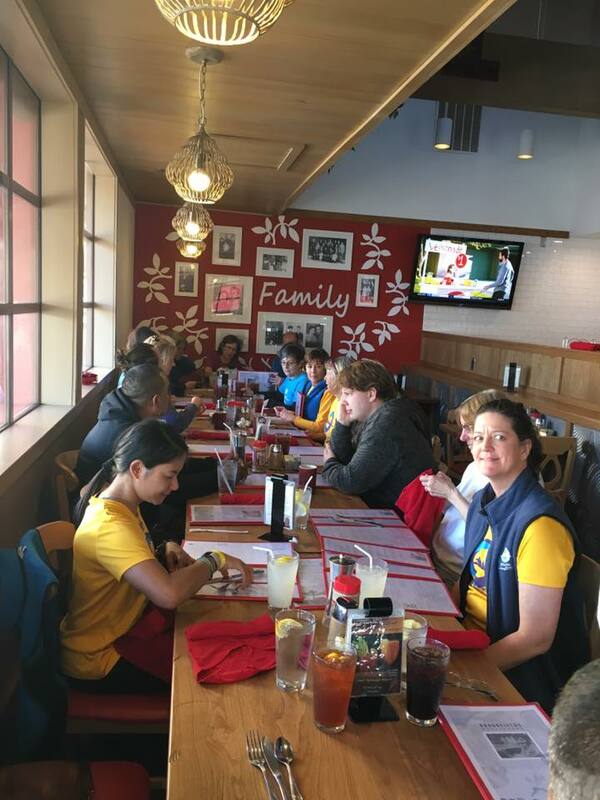 At the Golden State Indoor Championships, Valdez and Mario, representing DSC’s “Oarbusters,” DSC’s adaptive program, finished their 1K events in 3:34.3 and 4:25.5 respectively. Masters scullers Bob Lee and Andre Vanatta came in at 3:38.7 and 3:05.5. 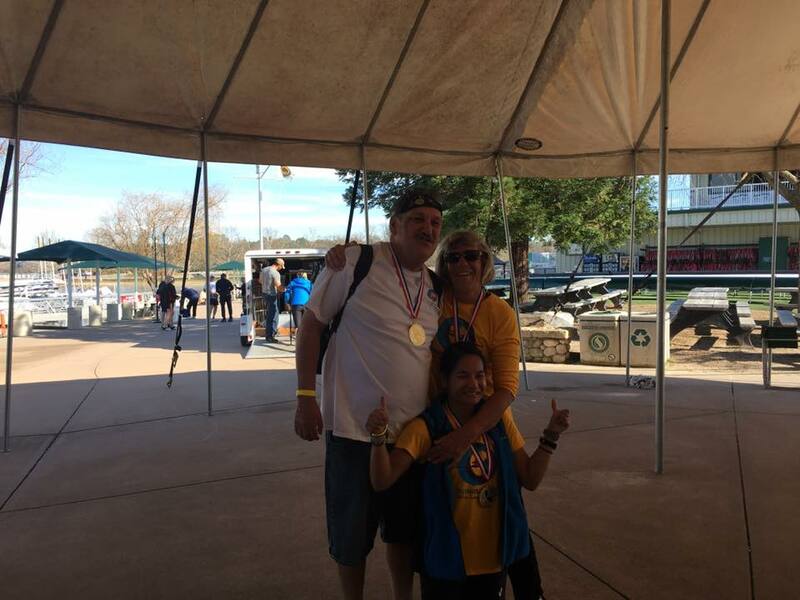 For Bob and Mario, it was their first time competing in an indoor rowing regatta, and Mario’s gold medal shone as brightly as his smile. 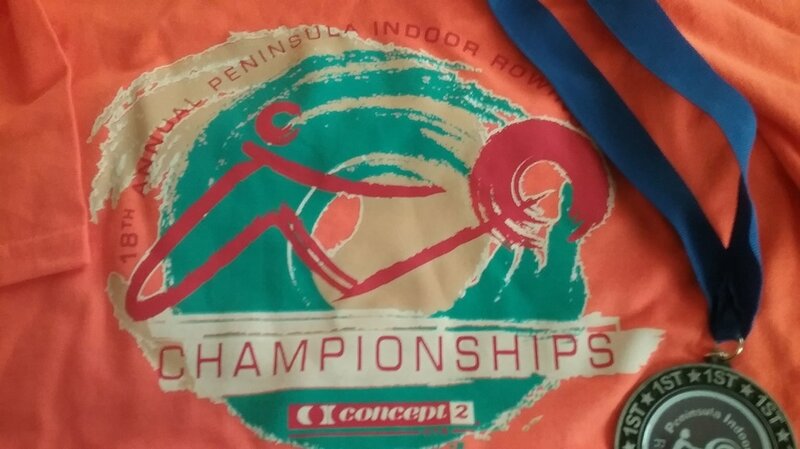 The following day at the Peninsula Indoor Rowing Championships Valdez also bested his PR for a 2K race (his very first one), finishing with a silver medal time of 7:37.3. Doing two all-out rows on consecutive days was AMAZING! CONGRATS to all four competitors and the camaraderie at DSC behind their success!